Gurgaon is leading the chart of the most attractive real estate investment destinations in Delhi-NCR. The major factors like great social infrastructure, robust connectivity, and plenty of employment options available acts in the favor of the place. Being the nodal point of the commercial developments happening in the region, the city enjoys excellent connectivity to all other places in Delhi-NCR. Its proximity to industrial areas of South Delhi and IGI Airport make it the best place to invest your hard-earned savings in and also assures you of great returns in the coming years. The rapid metro and extensive metro connectivity have further enhanced the connectivity of the place resulting in an increase in the property value. Gurgaon enjoys a well-developed social infrastructure, unparalleled in Delhi-NCR. The entire facilities essential for living a modern and comfortable life are available at your doorstep. It offers easy accessibility to reputed schools, colleges, banks, hospitals, malls, multiplexes, convenience stores, etc. The real estate in Gurgaon offers a healthy mix of commercial and residential properties. The buyer market mainly consists of those who buy residential property for self-use and then investors in the commercial category. The city has huge scope for property price appreciation. Owing to the ever-expanding commercial spaces, there is a torrent of job options available. The engineering and construction industry also generates innumerable employment opportunities. For those who are planning to invest in Gurgaon must make a wise decision as far as the location of the property is concerned in order to reap fruitful returns in the years ahead. Located close to Delhi-Ajmer Expressway and connected to Khandsa Road, Sector 36 is a rapidly developing area in Gurgaon. It is well-linked to the Buddha Chowk Road. The area houses several prestigious schools and quality educational institutes of the city and offers an easy accessibility to leading banks branches and ATM’s. The high-end AMP Motors offering Land Rover and Jaguar is also stationed here. It is a home to the Badshahpur Jheel. The area is very close to the Pataudi Road and has easy connectivity to Farukhnagar Road. A project in Sector 36, Gurgaon is considered to be a smart choice since the place enjoys proximity to social and civic utilities of life and is well-linked via fast and comfortable means of travel. Set up next to the 210-metre wide Dwarka Expressway, Sector 36 A is one of the most flourishing areas of the city. It is easily approachable via Pataudi Road and Delhi-Gurgaon Expressway. These well-planned roads allow easy and hassle-free commuting to the IGI Airport. The Gurgaon Railway Station and Garhi Harsaru Junction lie in the close vicinity of the area. 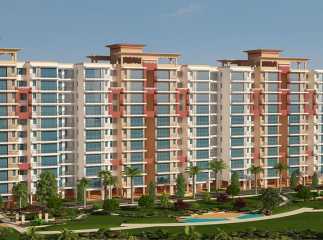 For those interested to buy a property is Sector 36, Gurgaon, there are many options that will provide you comfortable living spaces at cost-effective prices.